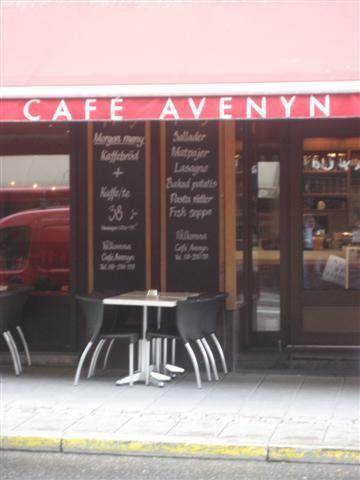 Cafe Avenyn is conveniently located in the shopping area of Norrmalm and it is a good place to stop for a refreshing cup of tea. The interior of Cafe Avenyn was fairly striking. 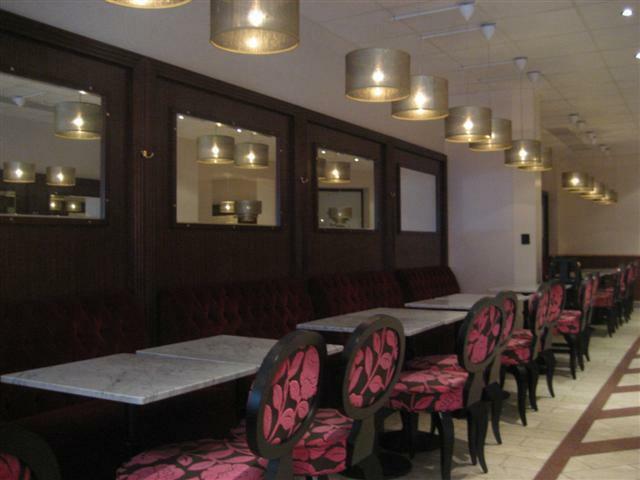 It felt very chic with its floral pink chairs. The cafe was nice and clean as well as being spacious. There were a few outdoor seats as well. 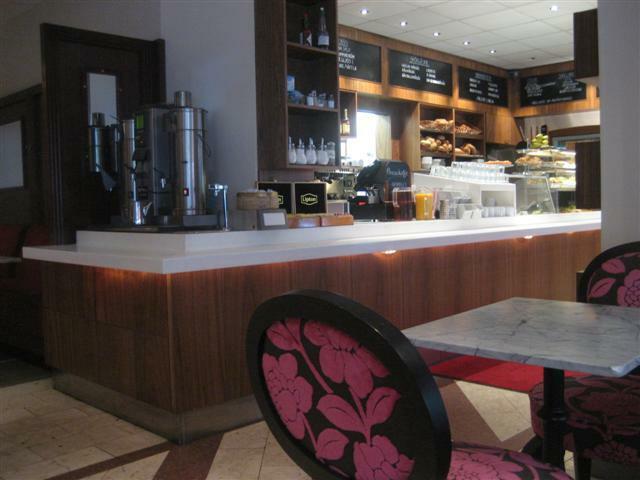 Cafe Avenyn had a range of teas and it also had pastries, breads, salads. It all looked very fresh, especially the bakery items. The Earl Grey tea was served by the cup and it was made with fresh tea leaves instead of tea bags. I was told by the friendly staff that the hot water and milk for the tea was just at the side of the counter and so I could help myself. Cafe Avenyn was a relaxing cafe helped by the soft songs and music playing in the background. This is the place where Hanoi Rocks used to hang out in the 1980s. Their song “Café Avenoue” is about this place. That alone makes the place worth a visit, but they also serve good vego or fish dishes, or good coffee or tea.